This recipe is brought to you by Guest Home Chef: The Old Fat Guy Food Blog. Not only is Old Fat Guy a master of the grill, he also offers a myriad of other delicious recipes & even has a lot of videos. I hope you'll visit his website & try some of his terrific recipes: https://oldfatguy.ca/. 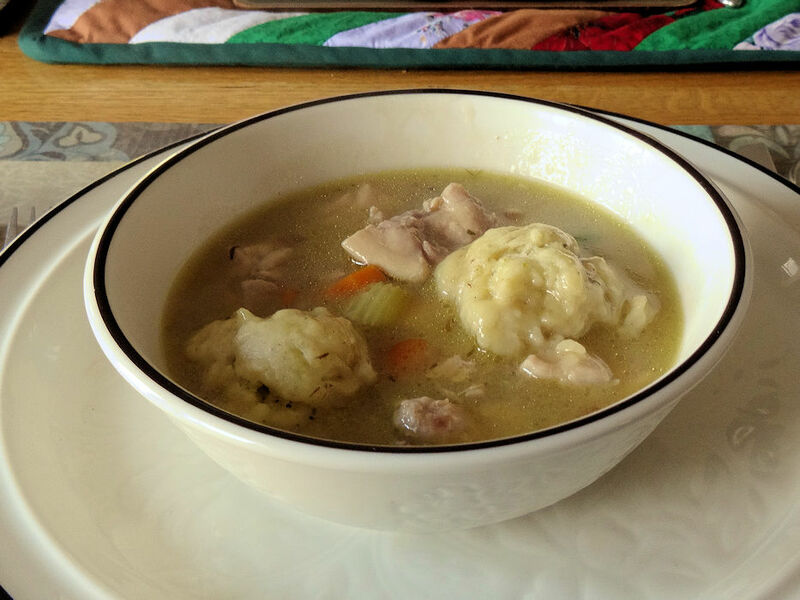 The traditional/old-fashioned way of making chicken & dumplings is basically a pain to make. 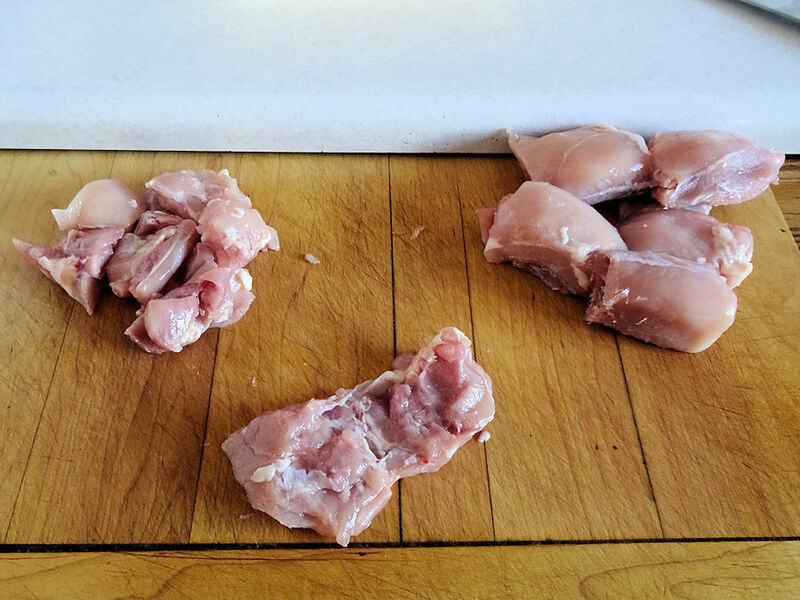 You have to cook a whole chicken, remove the meat and then start making your chicken and dumplings. 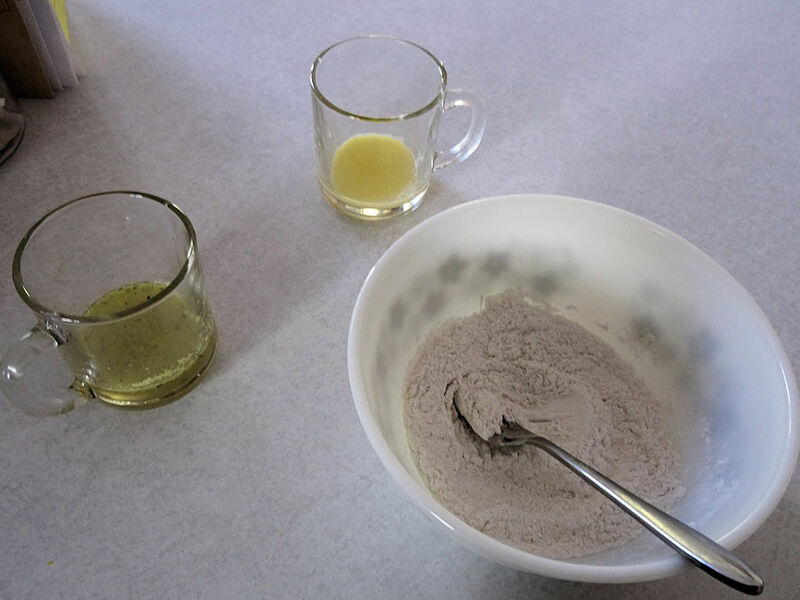 By making the dumplings with Bisquik or the equivalent... the dumplings always seemed soggy to me. 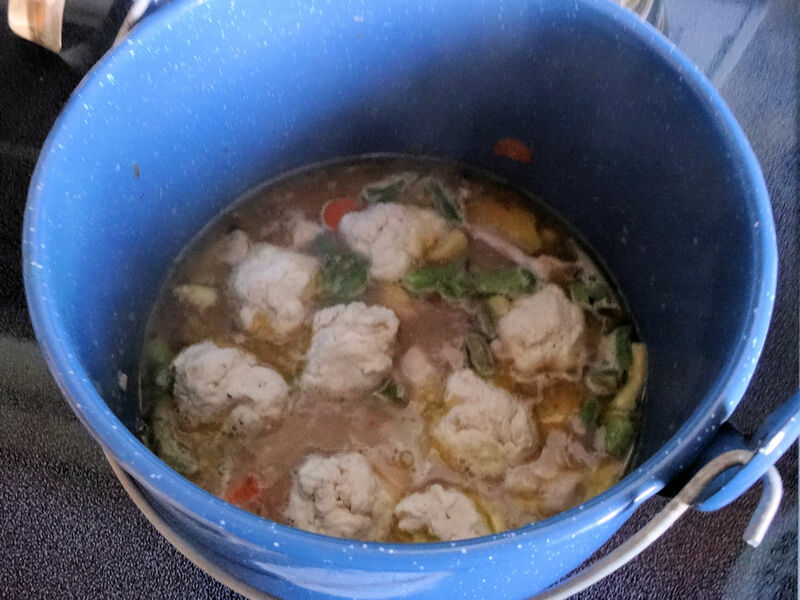 My version uses boneless skinless chicken thighs and makes home made dumplings that mix up as fast as Bisquik but are so much better. The Verdict: This is a quicker way to make Chicken and Dumplings & has the added benefit of tasting great! 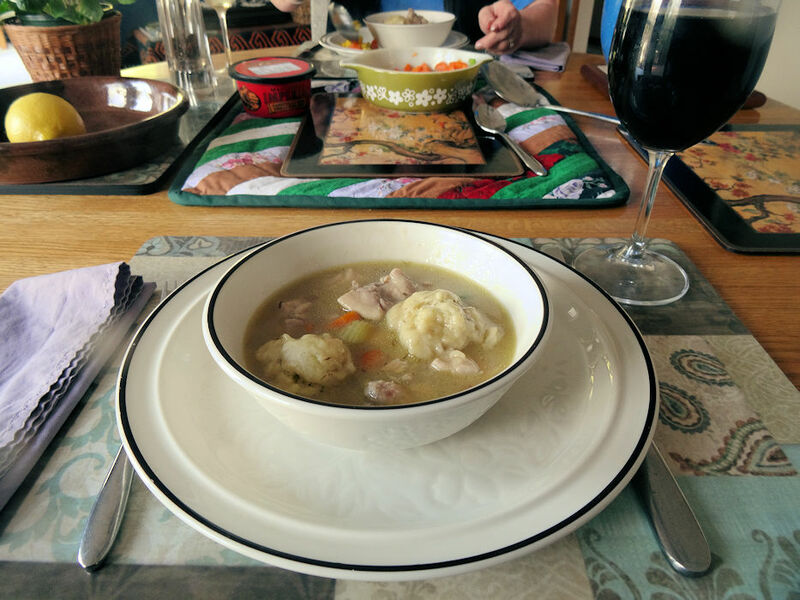 The broth is rich and hearty, the chicken is moist and the dumplings are tender and creamy. Perfection in comfort food! 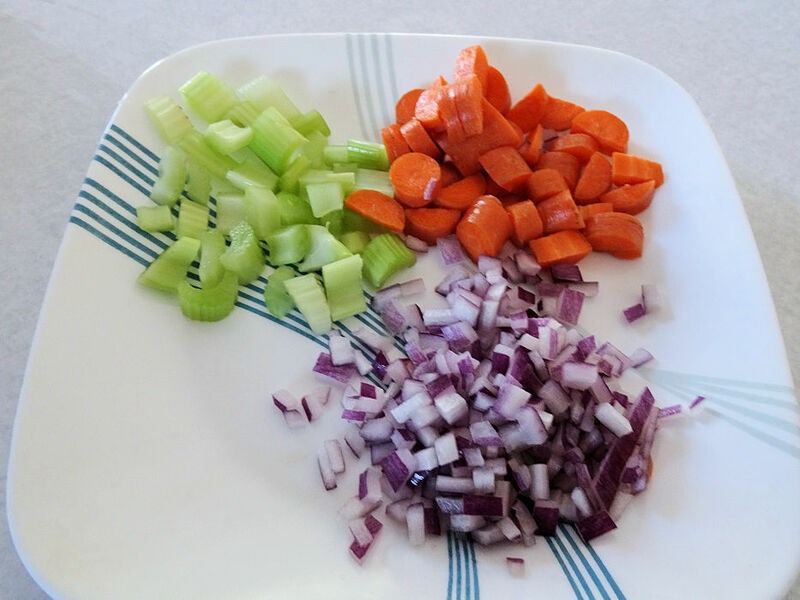 1 Prepped carrot, celery & onion. 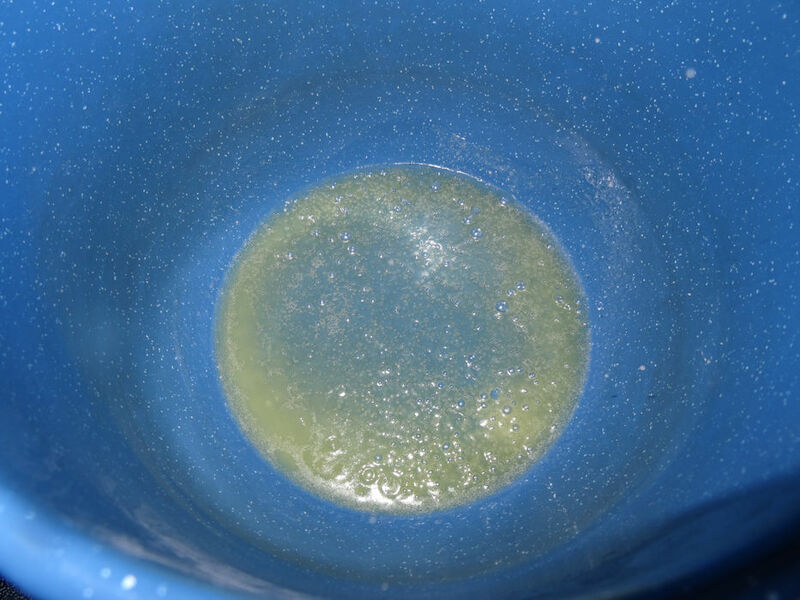 3 Melt butter, in a medium saucepan, over medium heat until foaming. 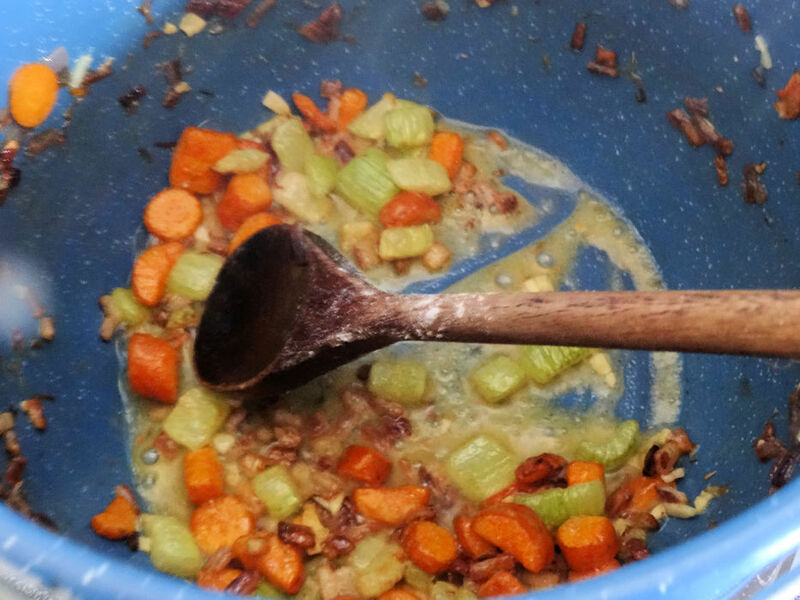 4 Add carrots, celery and onion. 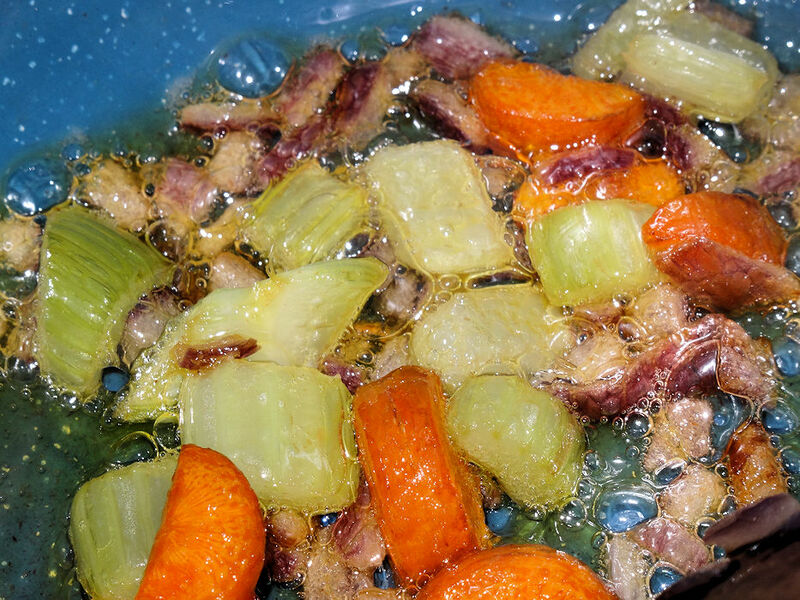 Saute for 10 minutes or until onions are starting to brown. 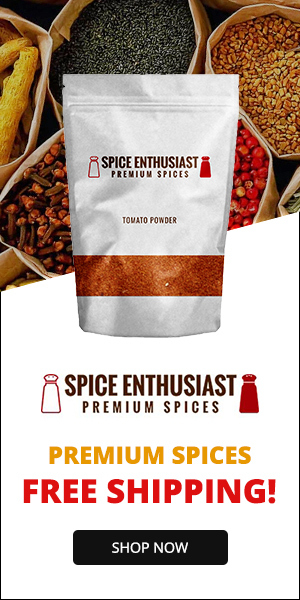 5 Add flour and stir over heat for 1 minute. 6 Add sherry and mix to deglaze the pan, scraping bottom of pan, until very thick and pasty, about 2 minutes. 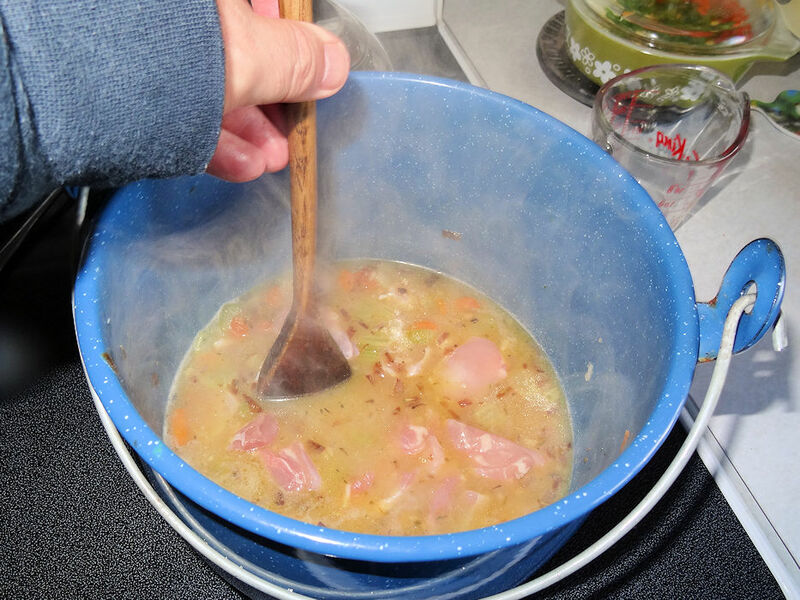 7 Slowly pour in chicken broth, stirring constantly. 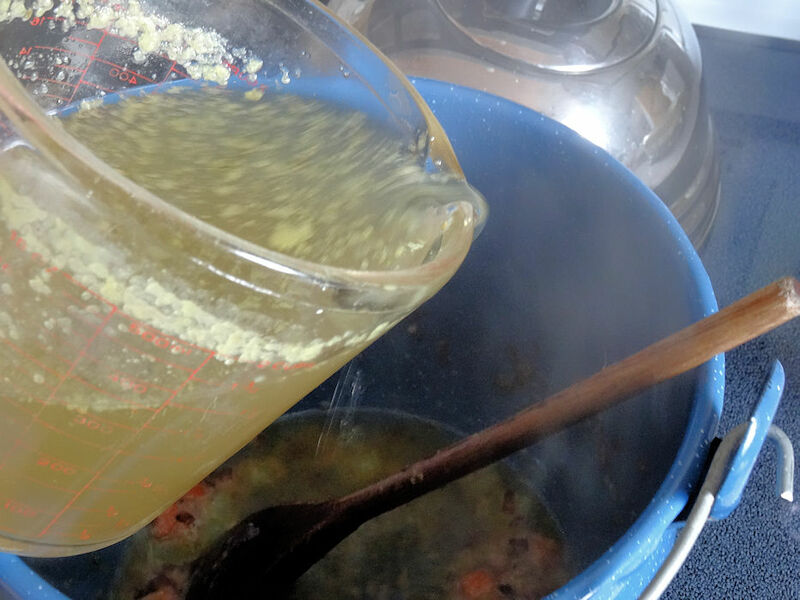 8 Bring to a boil. 9 Add chicken and green beans. Reduce heat to medium low. Simmer for 15 minutes. 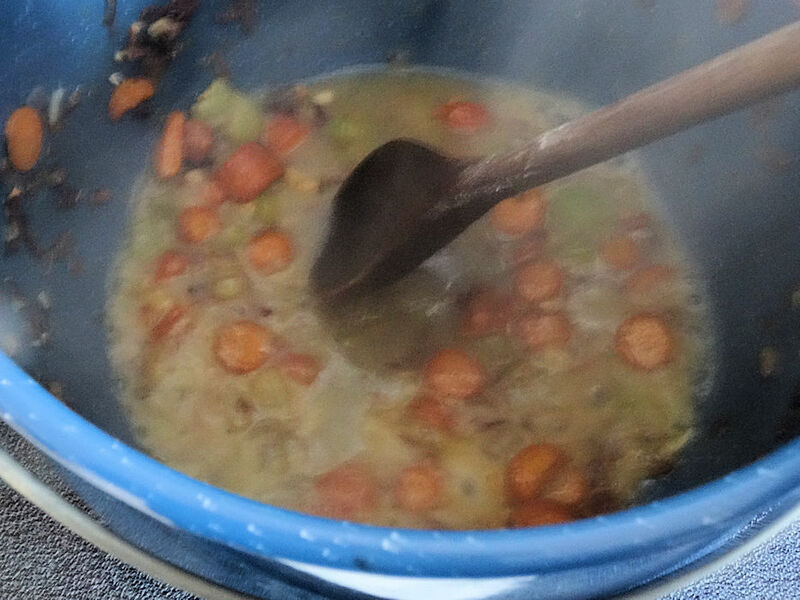 10 Taste broth and add salt or pepper as desired. 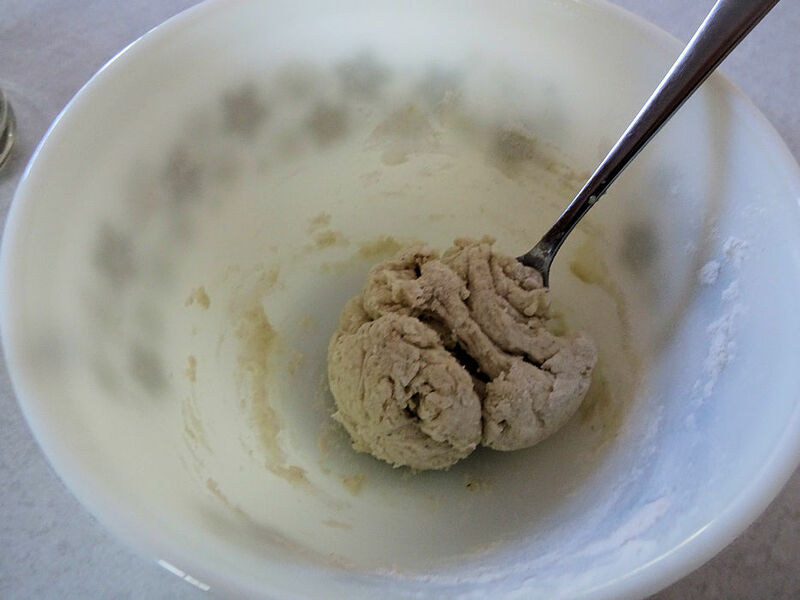 11 Mix baking powder, salt and poultry seasoning in a bowl. 12 Add chicken broth and melted butter. Stir just until mixed and a ball forms. 13 Break dough into eight pieces. 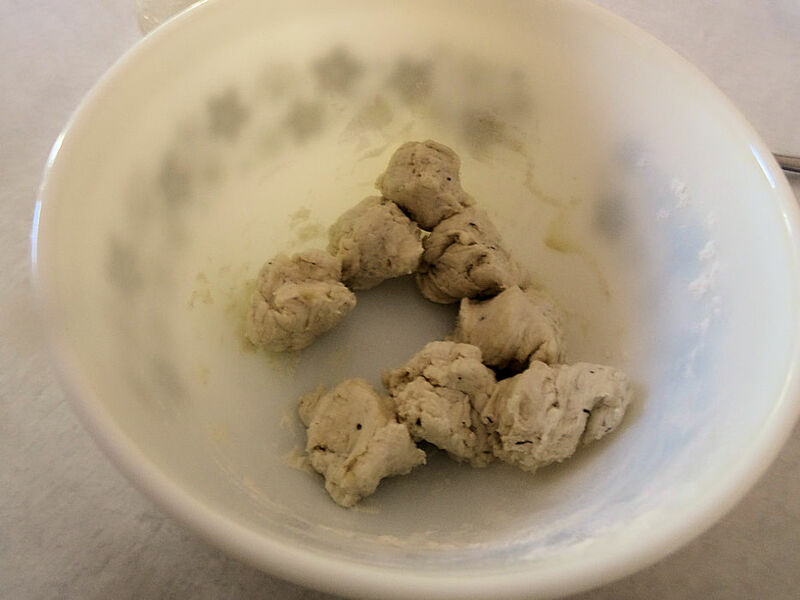 14 Place dough pieces in broth, about 1 inch apart. Cover and turn heat to medium. Cook for 12 minutes. 15 Remove from heat and let sit for 10 minutes. Thanks for the kind words, Maria.
. Not only is Old Fat Guy a master of the grill, he also offers a myriad of other delicious recipes & even has a lot of videos. I hope you'll visit his website & try some of his terrific recipes: https://oldfatguy.ca/. 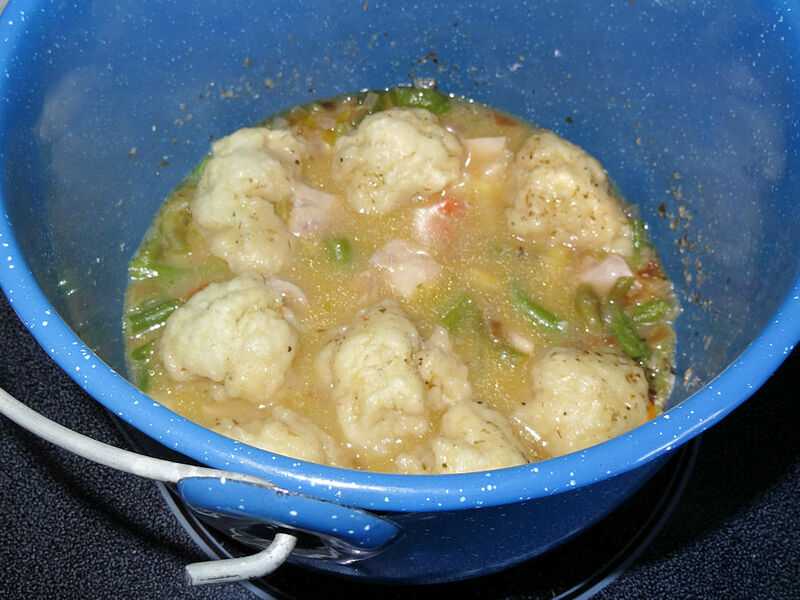 nnThe traditional/old-fashioned way of making chicken & dumplings is basically a pain to make. You have to cook a whole chicken, remove the meat and then start making your chicken and dumplings. 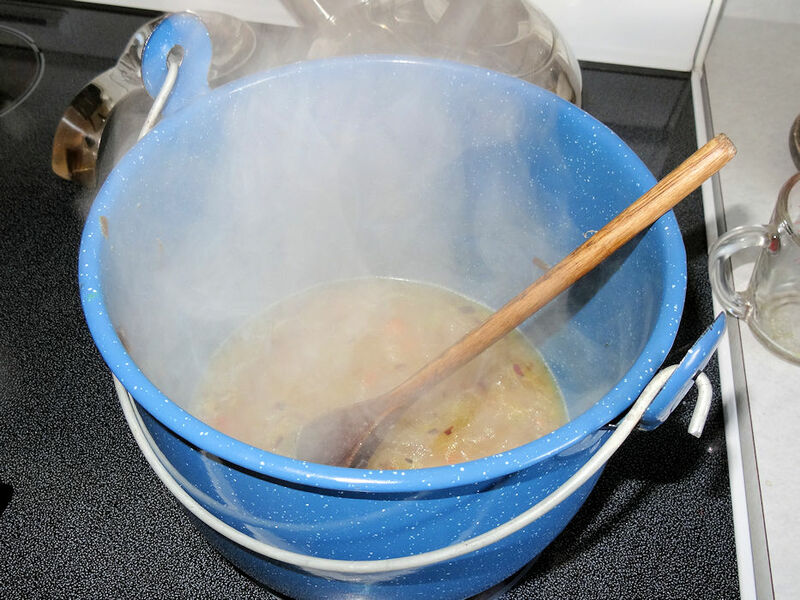 By making the dumplings with Bisquik or the equivalent... the dumplings always seemed soggy to me. My version uses boneless skinless chicken thighs and makes home made dumplings that mix up as fast as Bisquik but are so much better.